Headlining two nights in a row and offering unique sets each night, SLIPKNOT destroyed the main stage with incredible performances featuring several songs from their latest album, .5: The Gray Chapter, which is #1 on the Billboard 200 chart. The Grammy-winning band is set to kick off its ‘Prepare For Hell’ tour with KORN and KING 810. Knotfest 2014 drew over 50,000 metalheads to the San Manuel Amphitheater and Campgrounds for a three-day happening that consisted of over 50 bands playing on five stages. Want to SHARE or COMMENT on these pics? Click on the ↗↗↗ or comment bubble at bottom /right of slideshow! 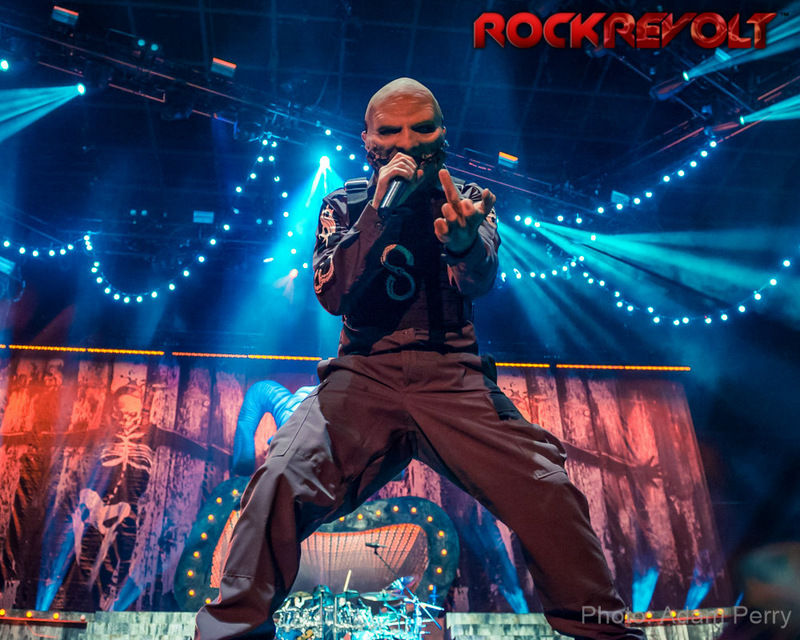 READ the Album Review of SLIPKNOT’s – .5: The Gray Chapter here! !